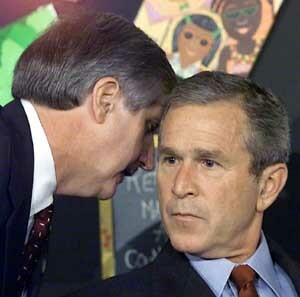 This is a scalable context timeline. 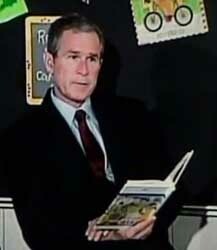 It contains events related to the event (9:08 a.m.-9:13 a.m.) September 11, 2001: President Bush Listens to Children Reading, despite Knowing the US Is under Attack. You can narrow or broaden the context of this timeline by adjusting the zoom level. The lower the scale, the more relevant the items on average will be, while the higher the scale, the less relevant the items, on average, will be.